At a recent Kubernetes London meetup, I showed highlighted some of the marvellous work happening within the Kubernetes Community and some tips on how to get started. 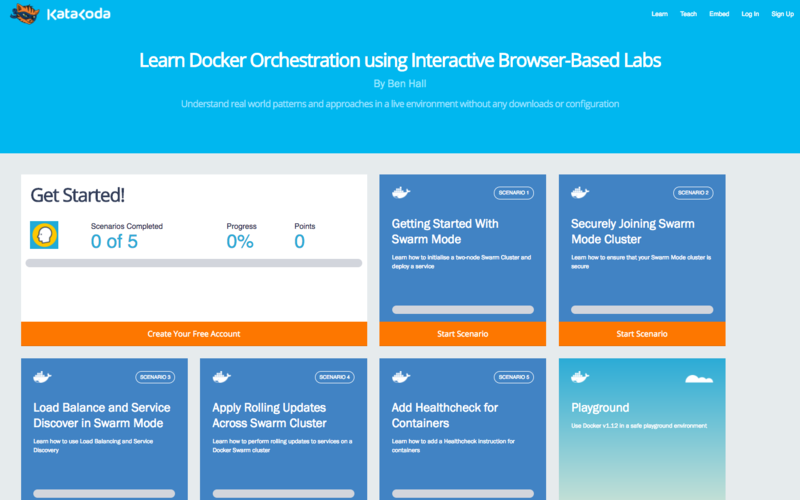 With over 70 free interactive scenarios, people come to us to learn cloud-native technologies like Kubernetes and Docker. We want to help people see the overall picture and enable users to start solving problems. To support with Docker 1.12 and Swarm Mode, we have put together five initial scenarios that explain how to run containers at scale.